For businesses in the music industry, musicians, events-related organizations, or anyone looking to build hype around something about to kick off, it’s important to amplify your post’s visibility with all of the tools at your disposal. Using popular hashtags can help you reach more people, and for an album release, or boost in ticket sales, choosing the right hashtags is number one in helping you build hype. In this post, we’ve rounded up the 86 most popular hashtags to use when tweeting or Instagramming about your upcoming event, album release, or performance. As a bonus, keep reading for other beneficial ways to put hashtags to work for you. 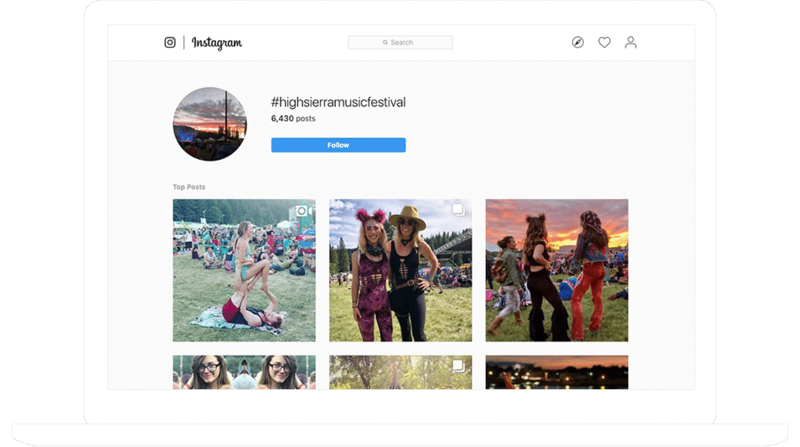 Beyond building an audience on social media, collecting influential UGC can be the ticket to turning a Follow or Like into an album purchase, concertgoer, or event attendee. Big brand marketers are using user-generated content (UGC) to collect photo and video testimonials from fans, participants and event attendees. When repurposing the collected content in ads, social media posts, and other marketing channels, UGC becomes a hugely influential marketing practice. The persuasiveness of UGC is especially evident for the music and events industry. Much like the magic of word-of-mouth marketing, the visual nature of UGC is the best way to crowdsource excitement and build hype. For example, consider music festival lovers who may be interested in the High Sierra Music Festival. After scrolling through #highsierramusicfestival posts, on-the-fencers and those suffering from FOMO (the fear of missing out) are more likely to pull the trigger and get tickets. Curate a custom collection of UGC with a branded hashtag and bring it all together in one place – for example, by displaying a gallery on a landing page. 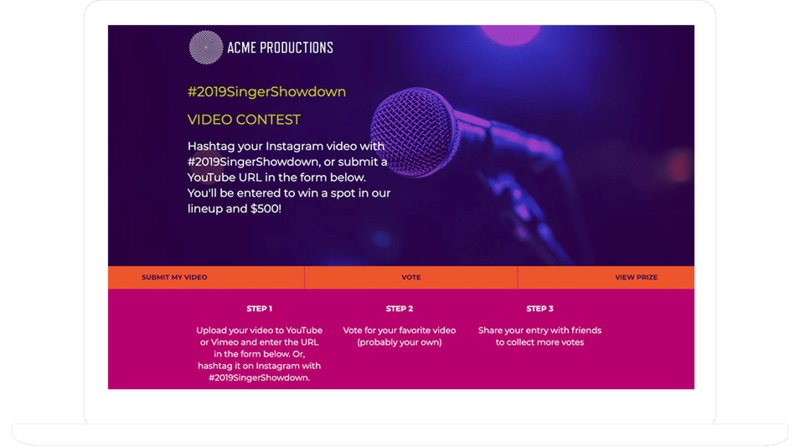 You can even turn your UGC into an engaging voting contest. When participants work to get votes, they reach out to people outside of your normal audience, expanding your brand’s reach. Here’s an example of a video contest requiring a specific hashtag to collect video entries. The videos can be displayed within the campaign, and can even be voted on. Looking to make a hashtag contest of your own? We have a template to help you get started. Bonus! When launching your next contest or promotion, here are some of the best hashtags to use to help you promote it. Want more hashtags, more promotion ideas and more ways to increase engagement and sales? Check out the articles in our Best Hashtag series. Put the power of hashtags to work. Create your first contest or giveaway free. No credit card required. Risk-free. Jessica Miller helps ShortStack customers get started, and get the most out of our platform by creating "how to" tutorials. She also recommends strategies for customer success. Read more articles by Jessica Miller.